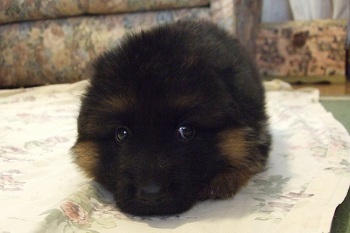 This is my german shepherd puppy Tiger - simply toooo cute to be punished! Don't you agree? 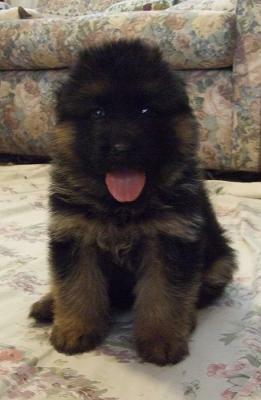 Tiger is a pure bred german shepherd puppy from a litter of 8 (5 females 3 males). She was the most energetic and fluffy one of them and even after a few hours of player she just wants more. She know she is toooo cute to be punished! Thanks for introducing us all to Tiger, Sydney. And I do believe you're right – she is tooooo cuuuuute. For just about everything. What sweet pictures – I'll bet she is a real camera hog because she is just so photogenic. Great pics! And good luck with her as she matures. If you ever get the time send us some more pictures and tell us how she's maturing – I imagine she's going to be nothing short of beautiful. Comments for My german shepherd puppy Tiger - toooo cute to be punished! Precious!!! Enjoy this time they grow so fast.